Golden, glossy canes with a green stripe above the branch bud contrasting with dark green leaves. In cold winters young canes will turn a stunning red if exposed to bright sunshine. This tall bamboo's upright habit makes it perfect for screening areas of the garden and growing as a bamboo hedge. 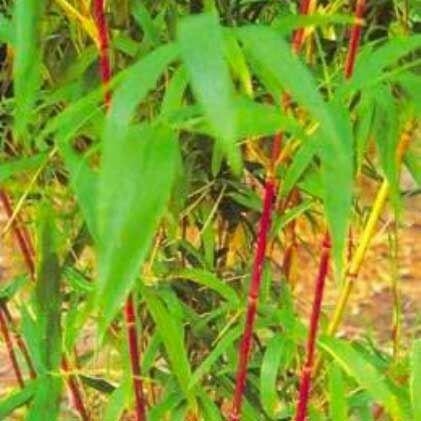 Its fabulous multi-coloured canes also make it a striking and unusual feature plant. Supplied at around 130-150cms tall in approx 15 litre containers.